First game of the season and I drove down to this match with Des, Scott and Steve. Tried out our new season tickets and they are in a cracking location together on the half way line. Almost identical match to the QPR game at the end of last season ending in 3v2 after we took the lead and went behind in the match. 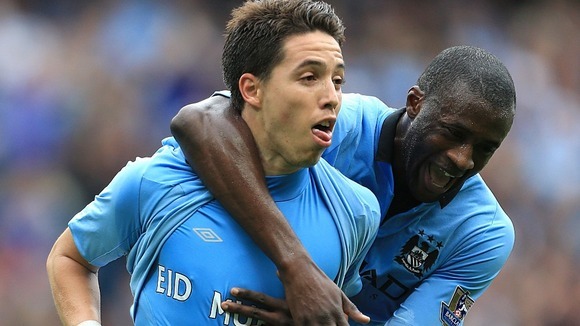 Nasri and YaYa celebrate the end of Ramadan!